Impress your customers with full-color plastic business, ID or gift cards branded with your logo or custom design. Our durable, high quality PVC plastic cards come in a full range of thicknesses and can be created with a virtually limitless combination of designs, colors and finishes, including UV and laminated coatings. 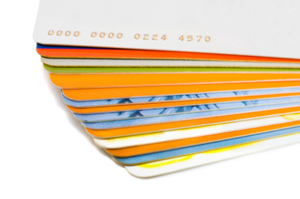 Whether you need 50 or 50,000 cards, we can assist you with design and production. Contact us today with your specifications or ideas.